“The Christian share of the U.S. population is declining,” states a new Pew research study, “while the number of U.S. adults who do not identify with any organized religion is growing.” And that should surprise no one. But, Lewis went on, “The world which we must try to convert shares none of those predispositions.” Instead, modern “predispositions” have thoroughly colonized the minds of our secular neighbors and, alas, many if not most Christian minds as well. First, wrote Lewis, modern ideas of education have deprived us of the ideas and ideals of the ancients. The cardinal virtues (prudence, temperance, justice, and fortitude), for example, while prominent in Christian moral theology came from Plato, Aristotle, and Cicero. Educated people once read those authors and understood the importance of the virtues even if they rejected Christianity. 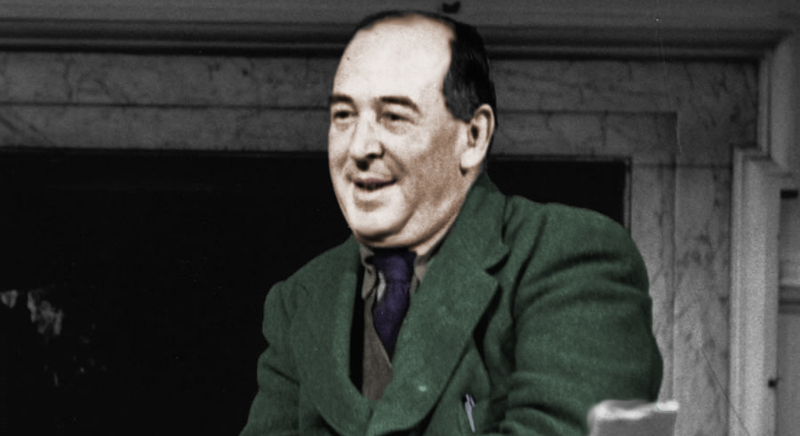 But we’ve forgotten the great pagan moralists, giving us what Lewis calls a temporal “Provincialism.” Cut off from the wisdom of the past we foolishly believe that the only reasonable way to think about the world is the way we think about the world. He connected this to “the fatal pseudo-science called Historicism,” the source of all that Marxist blather about “the wrong side of history.” Taking our cue from Darwinism and from our technological narcissism, we assume that if it’s new it must be good and true because life is getting better and better. This is in large measure the result of our having become “as narrowly ‘practical’ as the irrational animals … not interested in the question of truth or falsehood. They only want to know if it will be comforting, or ‘inspiring,’ or socially useful.” To which he added, “Skepticism about Reason”: we accept, “without dismay the conclusion that all our thoughts are invalid.” Truth is merely subjective and is easily and properly changed by a show of hands. Lewis was not entirely without hope, but he offers no plan for change. Let me suggest the start of a plan. First, I’ve read enough popular Christian books and church growth literature to know that the Church is infested by the thinking Lewis critiques. We are worldly not because we drink alcohol and go to the theater, but because we live almost exclusively for the here and now while assuming we have a bus ticket to Heaven. We need to give up worldly and childish things, engage our minds, conform ourselves to Christ and mend our ways. As Princeton professor Robert George suggested at the 2014 National Catholic Prayer Breakfast, we might not have a choice. “The days of acceptable Christianity are over,” he said. “The days of comfortable Catholicism are past.” If that’s true, not just for Catholics but for all Christians, then we will either mend our ways or collapse into graceless secularism. Second, we need to think seriously about how we communicate the Gospel. As Dr. James K. A. Smith of Calvin College writes about our secular neighbors in How (Not) to Be Secular, “There doesn’t seem to be anything ‘missing’ from their lives — so you can’t just come proclaiming the good news of a Jesus who fills their ‘God shaped hole.’ … They don’t feel like anything is missing.” We need to answer the questions our neighbors have rather than the ones we wish they had. Finally, as Lewis suggested, Christianity does not intend to change only the mind, but the heart, which in the Bible is not just our emotions but the seat of our will. That being the case, he concludes, “Where God gives the gift, the ‘foolishness of preaching’ is still mighty.” Indeed it is still mighty and, given the Pew study, it is still necessary. Those who are “thoroughly colonized” by secular predispositions are NOT Christian. No matter a person’s claims to Christ, the Christian is not one who claims Christ, but is one who has been claimed BY Christ.